can be estimated at 15% of the weight of plate. 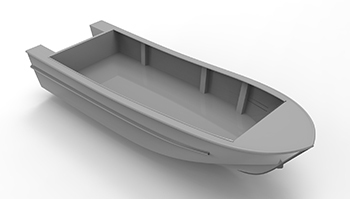 This MPV (Multi-Purpose Vessel) is a functional model which can be used for many different purposes, such as, transporting, hauling, fishing, diving, water taxi, yacht tender, search & rescue, general recreational boating, and more. 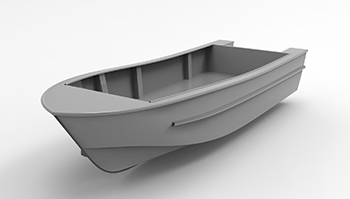 The MPV model is available either as a relatively flat bottom vessel, at 8 degrees, which is ideal for beaching or where high initial stability is required, or as a moderately deep V bottom, at 18 degrees, which is ideal for use in open water or higher speed operation. 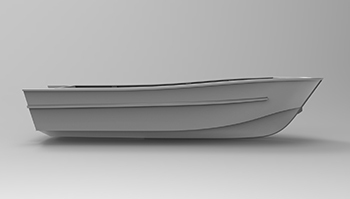 Available lengths of the designs are, 22ft, 24ft 6in, and 27ft with two different deadrises as they are mentioned. 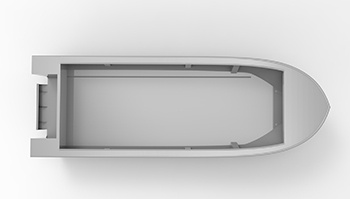 With this design, you will be able to customize it to meet your needs. 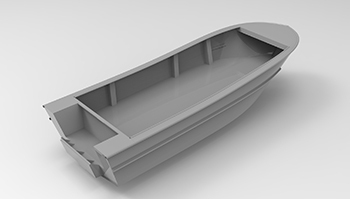 For example, by adding a center console or a cabin, or a windscreen you can create the boat you want.